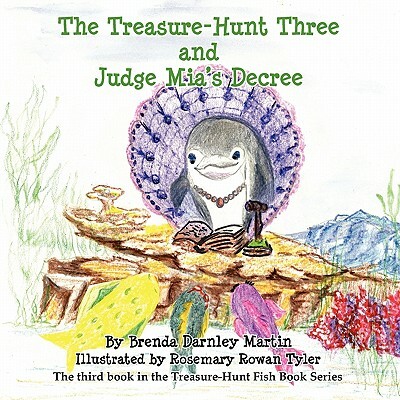 Bullies Beware When Brave Friends Dare To Care __ In "The Treasure-Hunt Three and Judge Mia's Degree," Freddie, Hector and Tish come face-to-face with the all too common issue of bullying, when a school of sharks begins to bully Hector. Rather than running in fear, Hector's friends, Freddie and Tish, immediately seek out the assistance of Officer Muldoon, who quickly takes control of the situation. In the end, everyone realizes the importance of standing up for what is right and that bullying is never right. - - What people are saying about this book: __"I love the fact there is a Judge in this story. Many children are scared silly when it comes to court (and this) story reinforces that a Judge represents fairness...." __ "Bullying is a real challenge children deal with daily and learning to support a friend in need by getting adult help - well all I can say is I LOVE IT " __ "This is the best book in the series so far and the subject is so important for today's kids "